The Willits Lane/East Valley Road Roundabout Projectincluded the demolition of the existing intersection and construction of a new roundabout. . A CDOT project of this size would traditionally take 3 months. 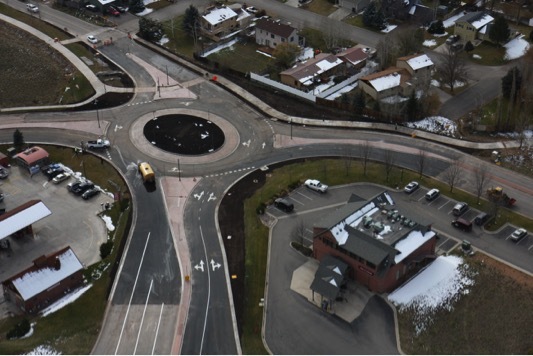 The reconstructed roundabout was completed and opened to the public in half the time originally scheduled for the project. Construction included 2800 LF of curb and gutter, 1,400 tons of asphalt, 4,500 tons of unexpected unsuitable soils removed and replaced, drainage improvements, concrete pedestrian routes, site electrical work , signage and striping, and landscaping.